Offering Bluegrass Foal & Yearling Mix at an early stage encourages steady daily weight gain, reducing the risk of developmental disorders. A textured feed that provides high quality proteins and all the essential vitamins and minerals required for sound skeletal growth. 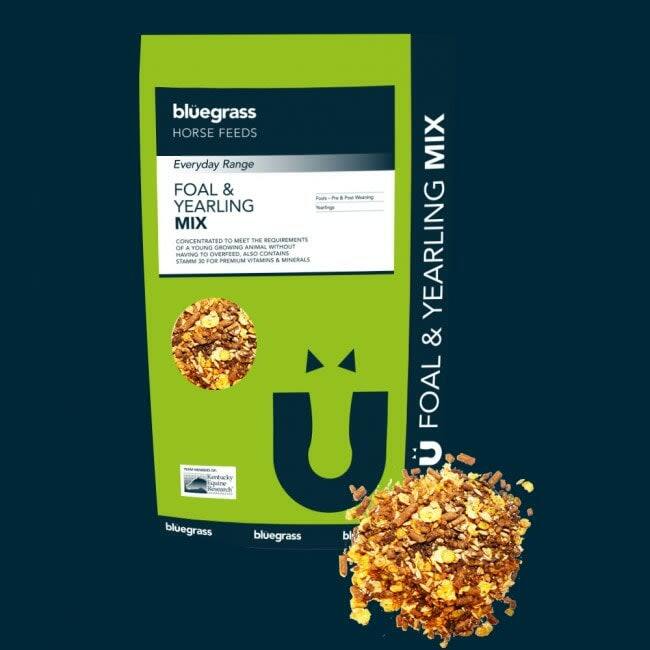 Highly Palatable mix to encourage first time feeders. Concentrated feed designed to meet the requirements of the young growing animal without overloading the digestive system.